Have you ever wondered how good it would be if you had your own space in the video sharing sites including YouTube? With the possibility to create online video channels in the top online video sites, you have your arena reserved. All you have to do is to claim it. Why you need your own Online Video Channels? It is that just your own space that you get with the online video channels. With online video channels you can race past your online competition and reach higher goals in no time. Online video sites are overcrowded with unimaginable number of videos and so having your own video channel gives you great opportunities to highlight your videos in the crowd. 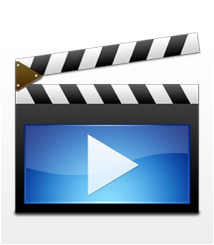 Just distributing your videos to the online video sites have limited promotional opportunities. Whereas by having the videos presented to your own channels opens doors to a lot of online video promotion strategies. With online video channels you will have better control over your wide promotion campaigns. You can see real time statistics, conversion rates and analyze the success of the video promotion campaign on the fly. Our team of video promotion experts along with their hands on customization experience can create unique online video channels in the top 5 video sites (Including YouTube). Channels will be customized with unique themes based on the business/ channel type. The channels will be given in the initial boost with some of the proven video channel promotion strategies as well. Are you ready to claim your space in the online video promotion world? Grab the RSS feed of the channel and submit to 50 RSS feed directories. Bookmarking each video to 10 exclusive video bookmarking sites.